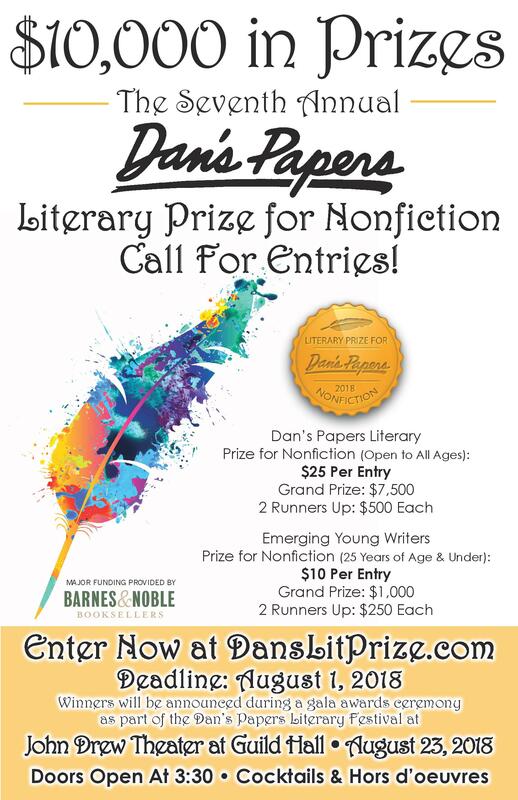 Southampton based Dan’s Hampton Media is hosting their seventh annual Dan’s Papers Literary Prize for nonfiction. There is an emerging young writers Prize for nonfiction (25 years of age and under) which has a $10 entry fee and a $1,000 grand prize as well 2 $250 runner up prizes. Students are also eligible to enter the prize open to all ages, which hass a $25 entry fee, a $7,500 grand prize and 2 runner up prizes of $500 each. The guidelines ask that the story be nonfiction, 600-1500 words and mention the east end of Long Island meaningfully. The deadline is August 1st. More information and entry input can be found at Danslitprize.com. Congratulations to Danielle Bianco-Bacigalupo, ABD!